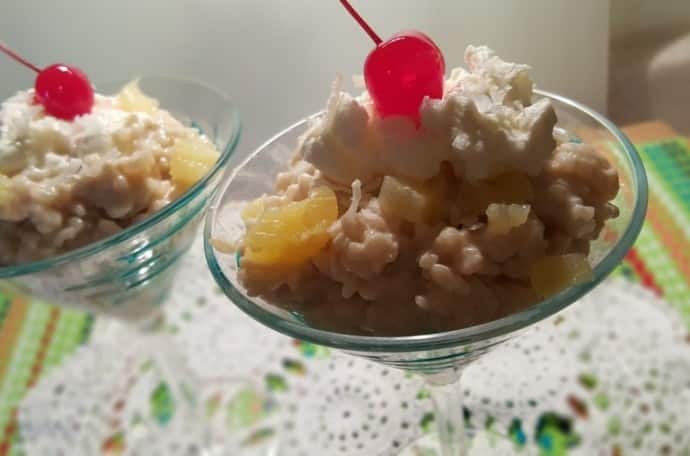 Pressure Cooker Piña Colada Rice Pudding with rum soaked pineapple and triple coconut will make you feel like you are on a tropical island. You will feel like you are on vacation, enjoying the Tropics with this creamy Piña Colada Rice Pudding. If you have kids around, skip the Coconut Rum, altogether, or just soak half the pineapple in rum. Chunks of pineapple and three different types of coconut make this a very refreshing dessert. If you love coconut, try my Pressure Cooker Creamy Coconut Rice Pudding, made with three types of coconut. 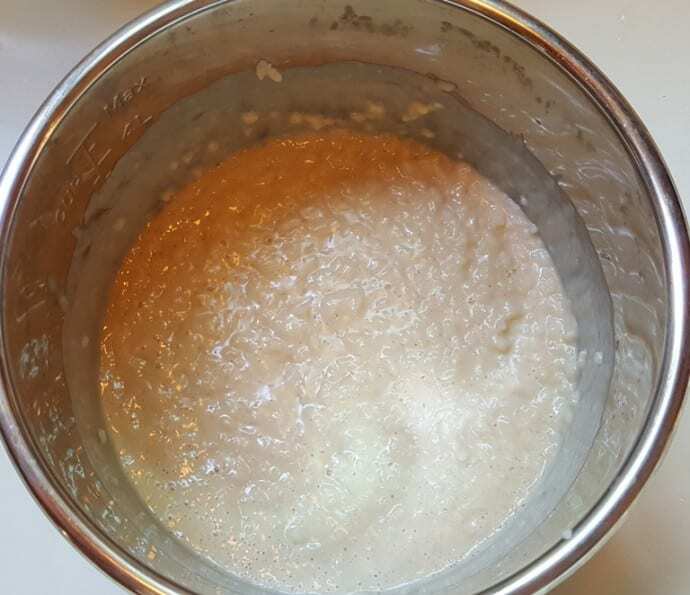 If I can substitute white sugar for Florida Crystals Demerara Sugar, I do, as it gives the Rice Pudding a more intense flavor, rather than a cloyingly sweet flavor. But white sugar is fine to use in a pinch. The pudding won’t be white, however. 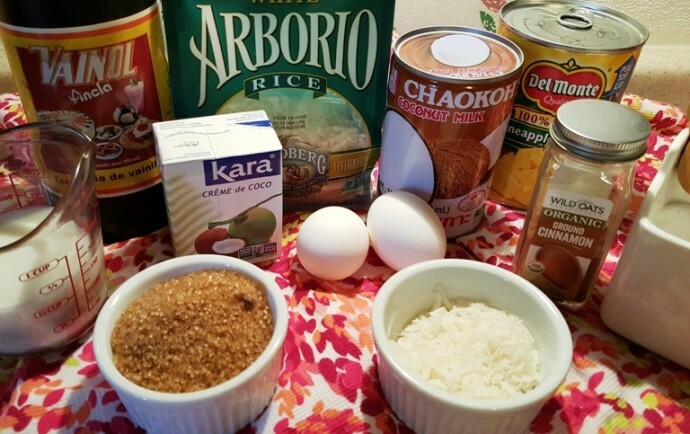 If you don’t have Arborio Rice, use a short grain, starchy rice. The Crème de Coco really gives this pudding a fresh coconut taste. Any time you use rice, make sure to wash it well with cool water. 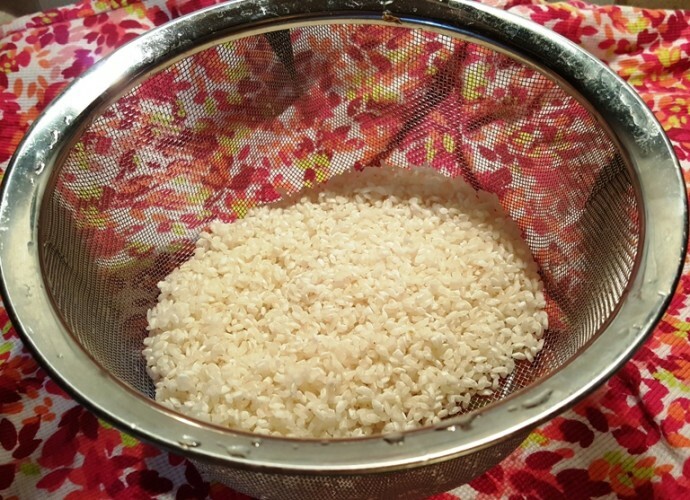 I have seen real honest to goodness rice washing baskets, but I use my regular ole vegetable strainer, and it works just fine and dandy. 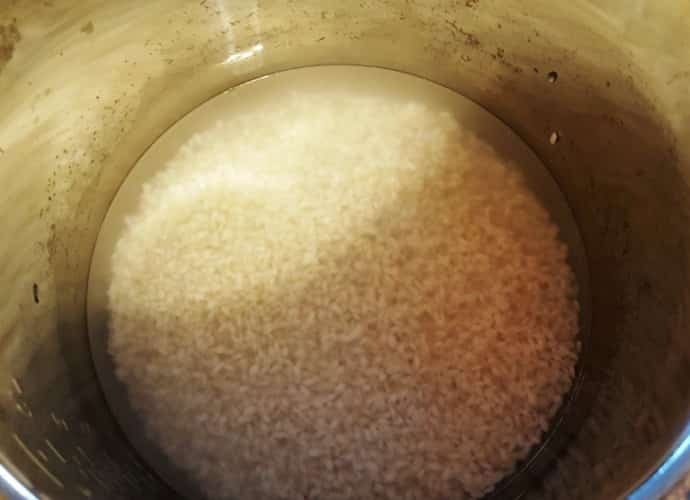 First cook the rice with water and salt. 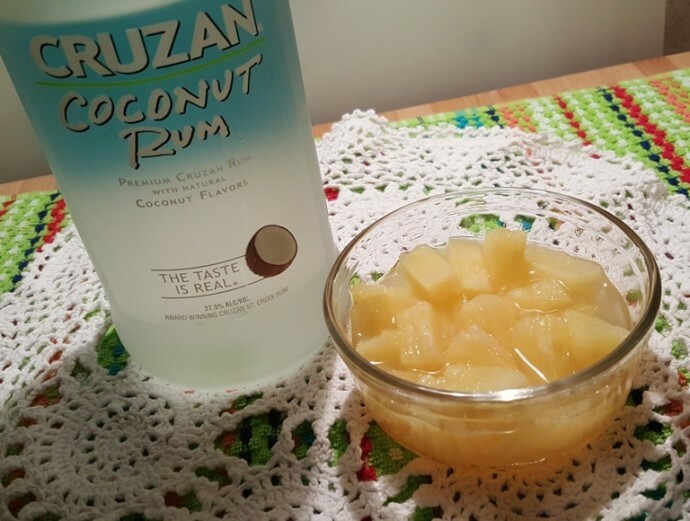 Soak the pineapple tidbits in some coconut rum! While the rice is cooking, add two eggs to the milk and whisk together very well. 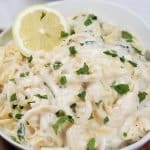 After the short cook time and the pressure has released, add in the coconut milk, sugar and vanilla and stir to combine. 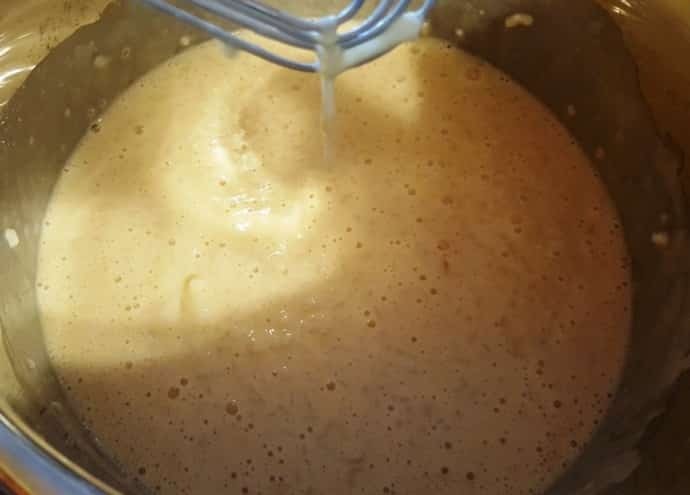 Temper the milk/egg mixture and then slowly whisk in the milk and eggs and as soon as you see a bubble, turn off the Pressure Cooker, but continue stirring. The egg will cook nicely. Let the rice pudding cool and then stir in the coconut and pineapple, or, top each individual serving with coconut and the rum soaked pineapple. Top your Pressure Cooker Piña Colada Rice Pudding with Perfect Homemade Whipped Cream, rum soaked pineapple pieces and toasted coconut flakes and/or sweetened coconut flakes. 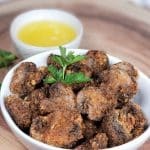 In a small bowl, add Coconut Rum and Pineapple and place in refrigerator. 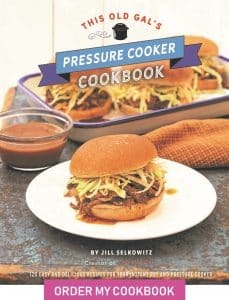 In Pressure Cooker cooking pot, combine water, rice, coconut crème and salt. Open lid and add the coconut milk, vanilla and the sugar to pressure cooking pot and stir to combine. 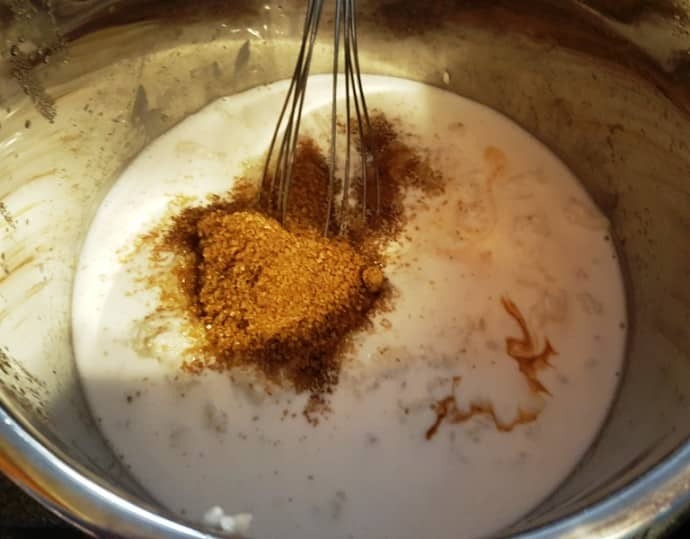 Add the eggs to milk and whisk well to combine. 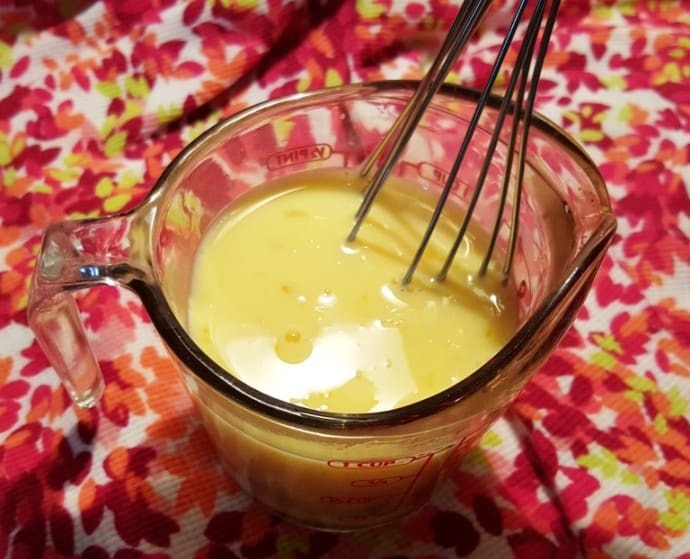 Temper the eggs by adding a Tablespoon of the hot rice pudding into the milk/egg mixture and then slowly pour the milk/egg mixture into Pressure Cooker cooking pot, stirring as you go. 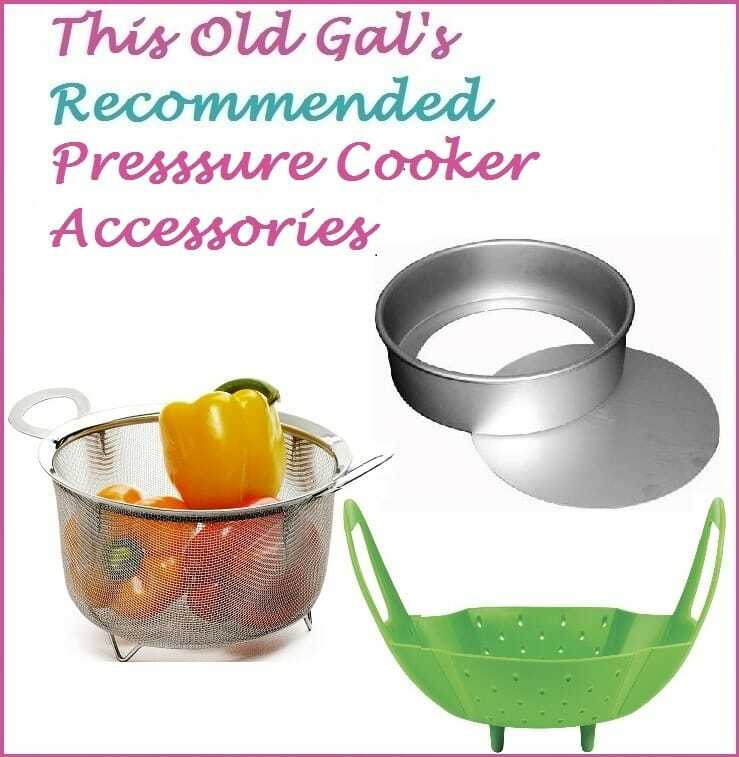 Remove cooking pot from Pressure Cooker. 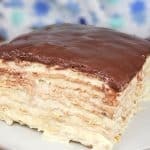 Top each serving with Pineapple Pieces and Toasted and/or Sweetened Coconut and a dollop of whipped cream and a cherry, if desired. Rice Pudding will thicken as it cools, so if you prefer a thinner pudding, use more than 1/2 cup of milk. 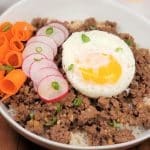 For a firmer rice texture, cook rice just 3 minutes. For a virgin Piña Colada, leave out the Coconut Rum. 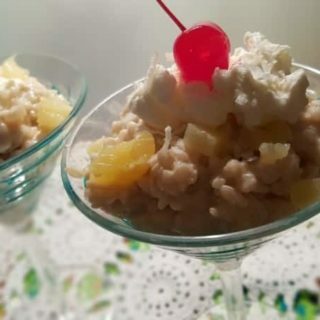 PIN this Pressure Cooker Piña Colada Rice Pudding!